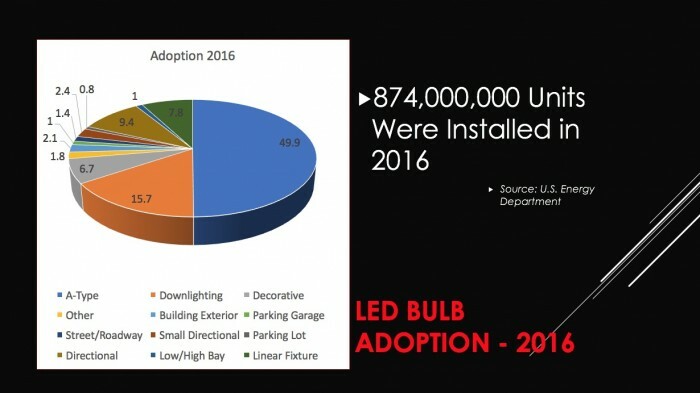 14.01 Billion units by 2022. CaGR* OF 21.23%, IN 2022. Base that can screw into any standard pole or extension rod. 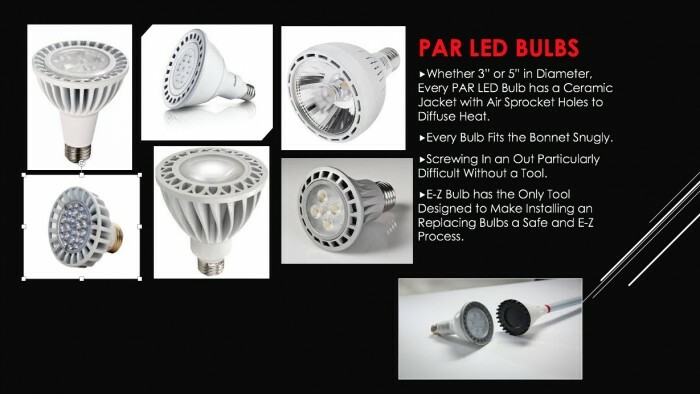 Secure Suction for LED & PAR LED Bulbs. Fits into any Standard Extension Poles for E-Z Changing without Ladders, Cherry Pickers, or Helicopters. Fits all Standard Extension Poles for E-Z Feet-On-The-Ground Installation. 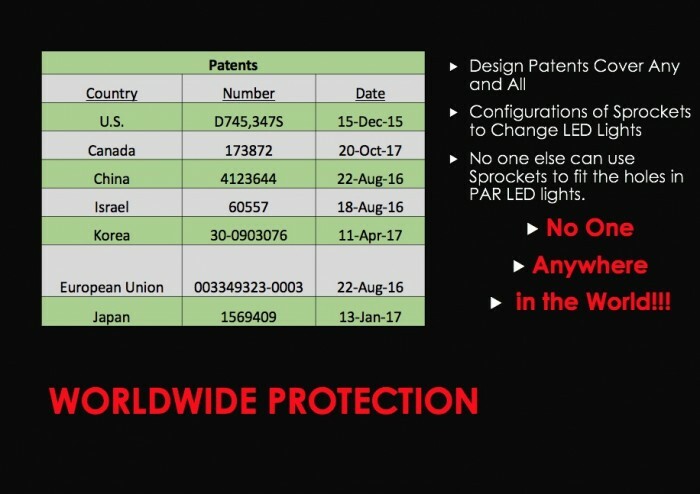 WORLWIDE PROTECTION FOR EVERY PAR LED BULB NOW OR TO BE MADE!!! 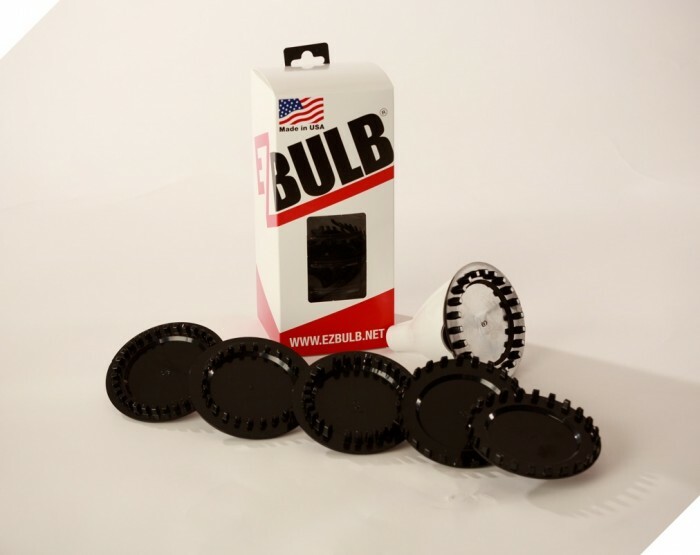 The EZ Bulb Suction Bulb Changer is an all in one solution for replacing your LED Light Bulbs. It is the perfect gadget for replacing LED residential lights, commercial bulbs, and floodlights. 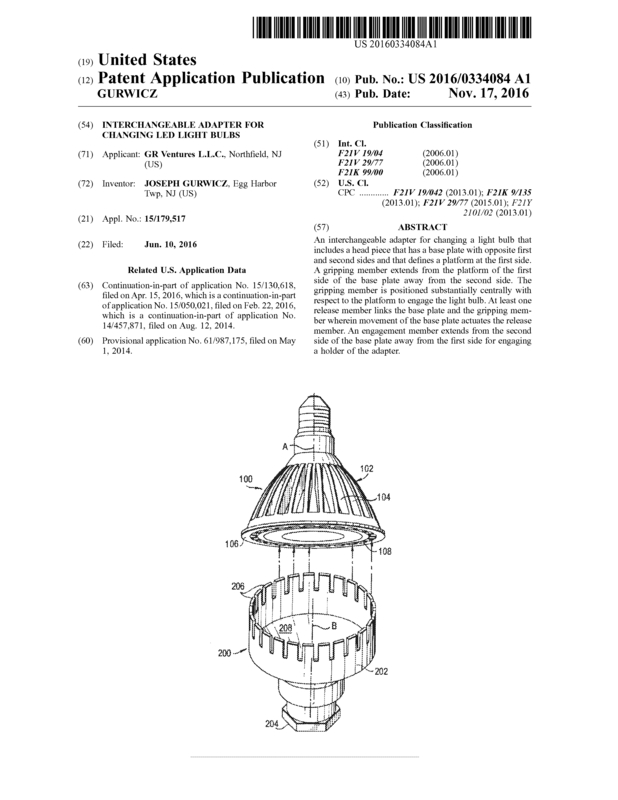 This light bulb changer is great for high ceilings. EZ Bulb saves you from climbing up a ladder. 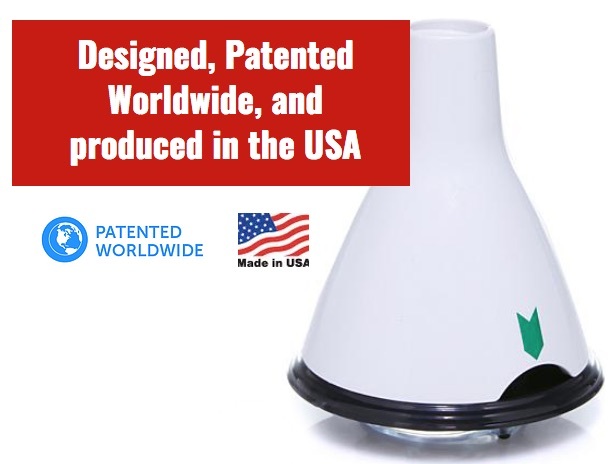 It is a simple and effortless tool for your house or office. Keep your feet on the ground, just where they belong. 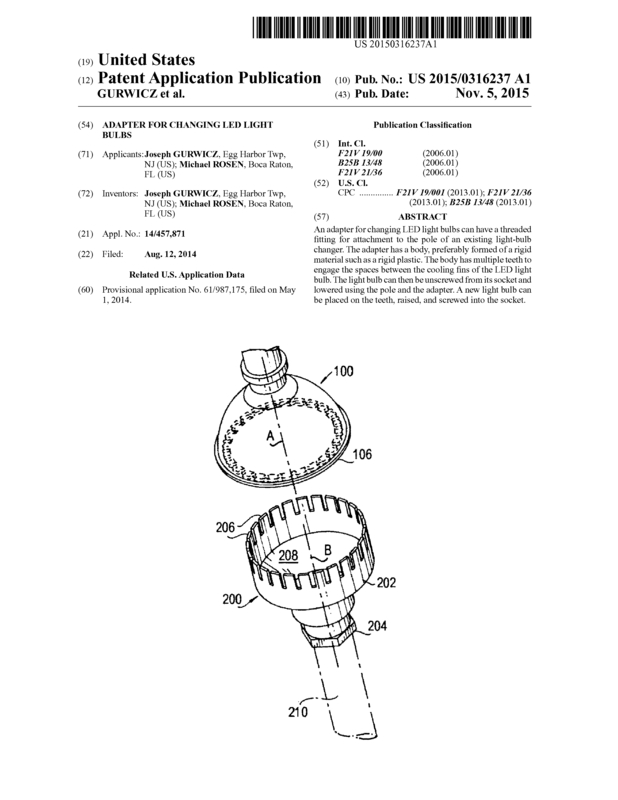 Now that’s easy to do, thanks to Joseph Gurwicz and his handy design for a universal light bulb changer. Joseph decided to come up with this much-needed product after witnessing his father-in-law fall from a ladder while changing a light bulb. This handy tool helps light up a dark space quickly and safely. 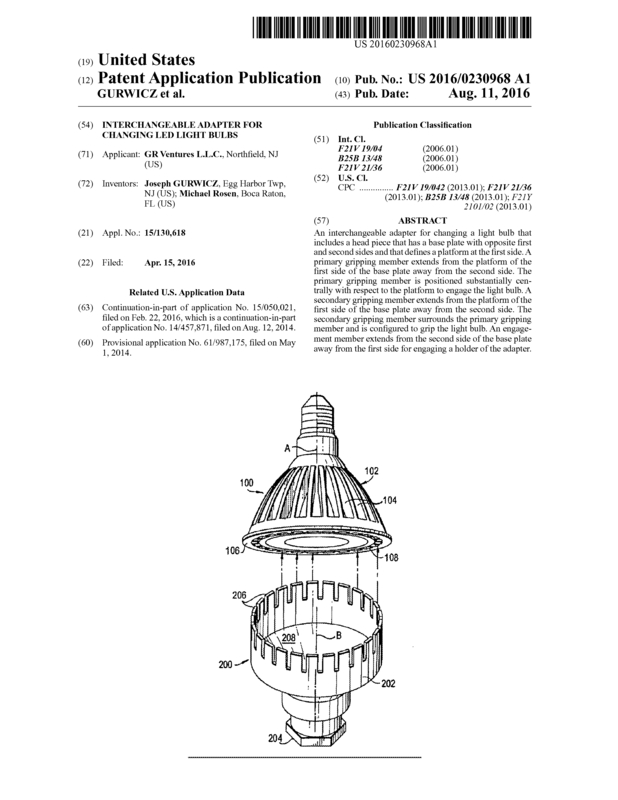 An interchangeable adapter for changing a light bulb that includes a head piece that has a base plate with opposite first and second sides and that defines a platform at the first side. A gripping member extends from the platform of the first side of the base plate away from the second side. The gripping member is positioned substantially centrally with respect to the platform to engage the light bulb. At least one release member links the base plate and the gripping member wherein movement of the base plate actuates the release member. An engagement member extends from the second side of the base plate away from the first side for engaging a holder of the adapter. We are only looking for an outright sale of the IP. 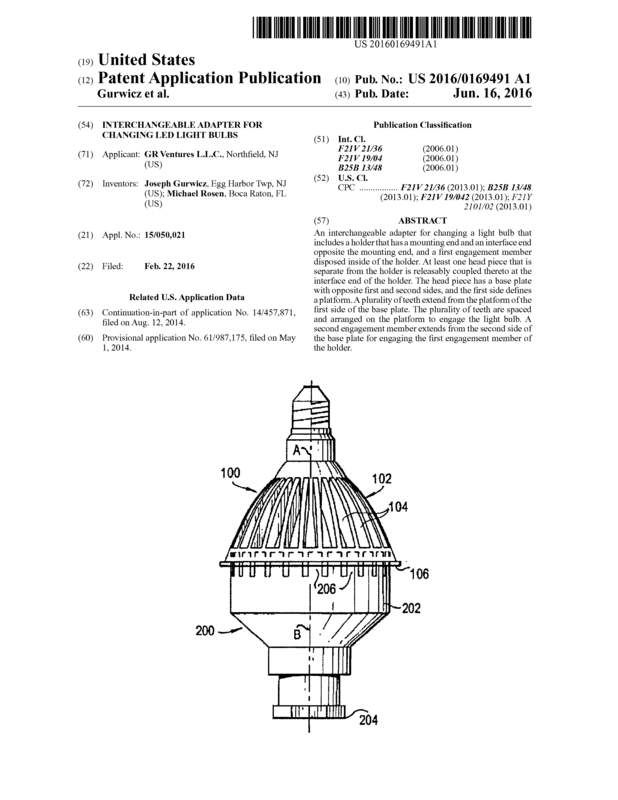 Page created at 2019-04-25 4:02:19, Patent Auction Time.